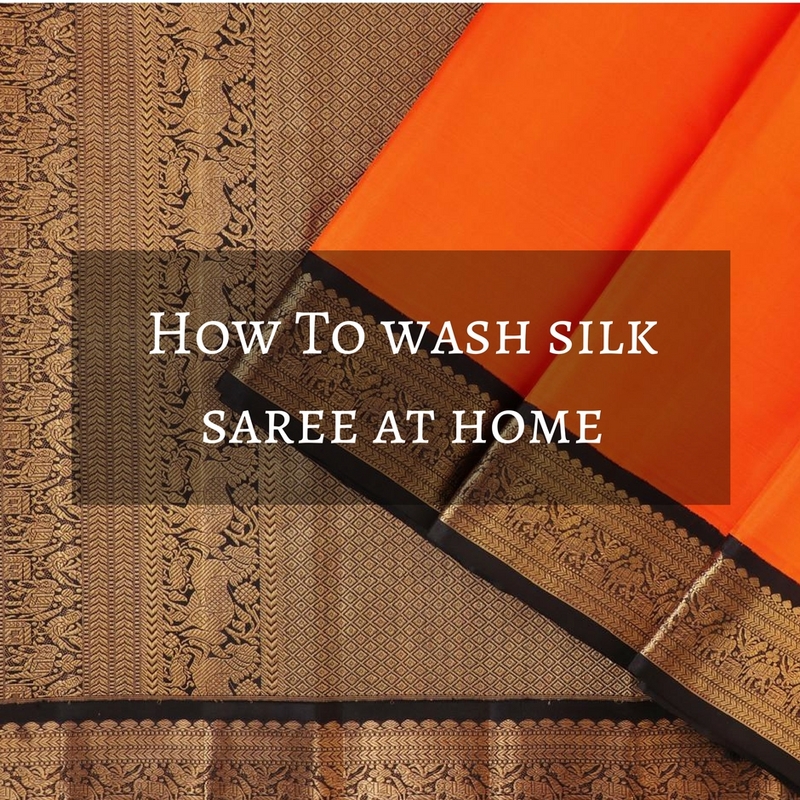 Home Fashion How to Wash Silk Sarees at Home? 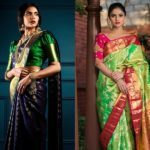 How to Wash Silk Sarees at Home? 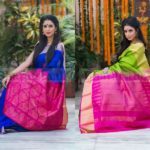 Silk sarees are very beautiful and gorgeous Indian traditional wear. 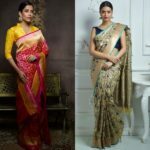 With lace work, sequins, embroidery work, zari and stone work, silk sarees come in many magnificent types. 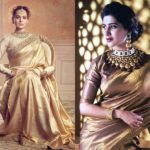 Be it a wedding or a normal dinner party or any other occasions, one can always wear a silk saree to stand out of the crowd. Silk sarees are very costly and delicate. Maintaining them with utmost care is not an easy task. Always going to the dry cleaner to get your silk sarees washed can be bit costly. 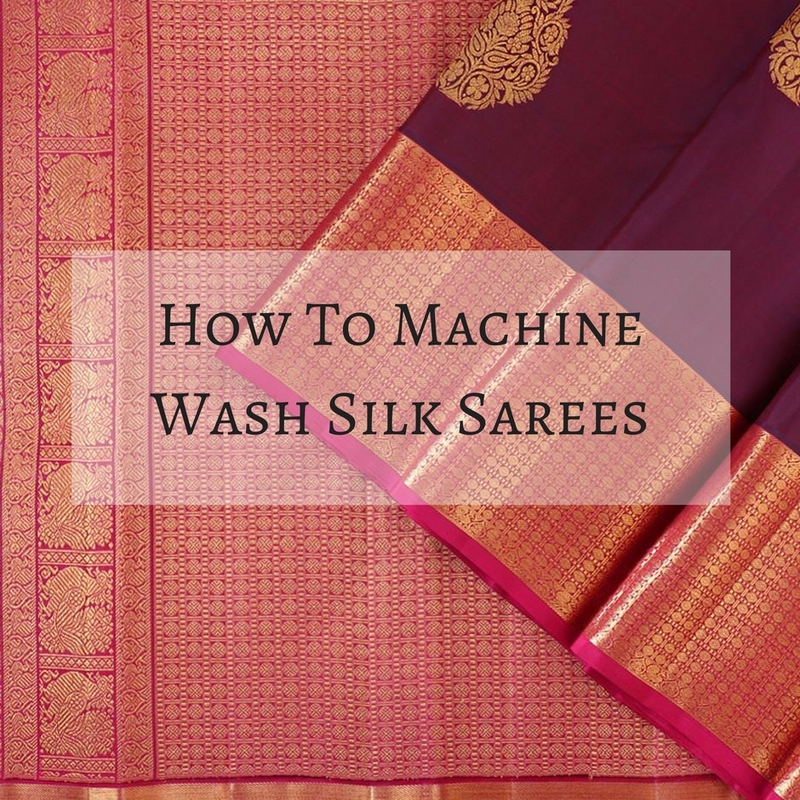 So ladies, here are some easy ways in which you can wash your silk sarees at home, itself. 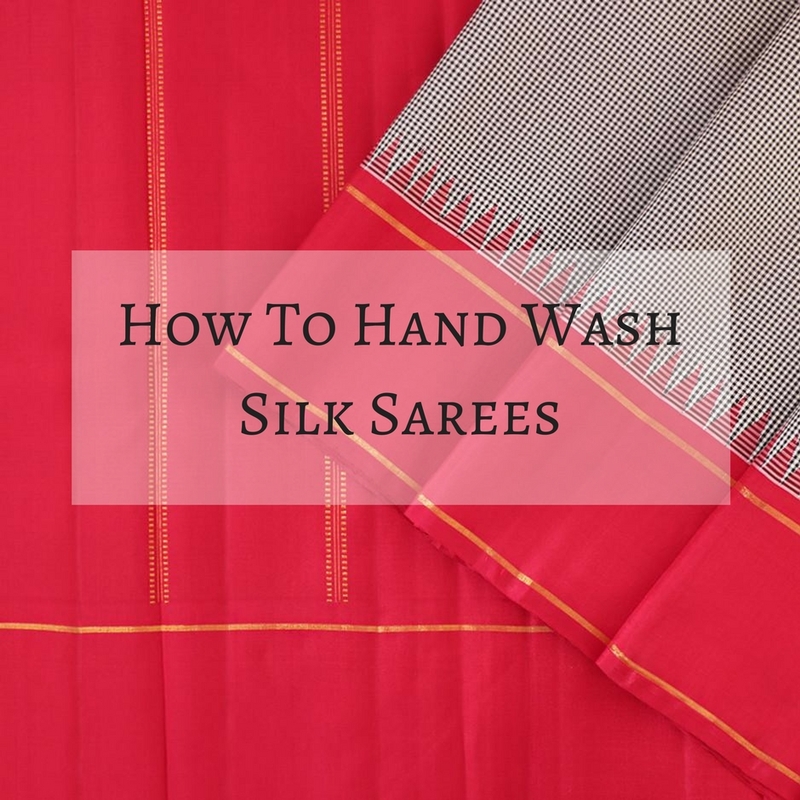 If your silk saree isn’t very dirty, then you can easily hand wash it using cold water. Take a large bucket or basis and fill it with cold or lukewarm water. Take some gentle detergent and add few drops in to the bucket. Always remember to use a gentle detergent as silk is a very delicate fabric, and using a chemical detergent can damage the fabric. If you are not sure about your detergent, then you can also use mild baby shampoo. Then mix the water with your hand so as to mix the detergent with the water. Pit the silk saree in the bucket and make sure the whole saree is submerged in water. Leave the saree untouched for 3 minutes, so that it can soak in as much soap water as possible. Move the saree up and down the water, so that any residue or dirt gets washed away. After this, take the saree out of the bucket and throw the soap water. Then wash the saree in cold water so as to wash out the soap. Make sure to cover the whole saree, while washing it under cold water. Wash the saree till it is free from soap buds. Finally, to dry the silk saree, take a clean towel and lay it on a table. Put the silk saree on the towel and start rolling the towel from one side to another. This way, the tower absorbs all the moisture present in the silk garment, thus drying it. Never twist the towel or else the saree will be left with permanent wrinkle marks. Hang the saree in some dry place, avoiding direct sunlight, as direct sun rays can damage the fabric. If the tag in your silk saree shows machine washing, then you can wash the saree in a washing machine. Always remember every silk saree cannot be washed in the machine. So always check the tag, before machine washing your silk saree. Take your silk saree and put it in the washing machine. You can even use a mesh bag to protect the silk saree from snagging. Always remember to wash the silk saree alone or with other delicate garments. Never wash a silk garment with jeans, colourful fabrics or clothes having buttons. After the washing machine is filled with water, add some gentle detergent or some mild laundry wash to it. Put the machine in the delicate cycle mode and also keep the time interval short for each washes. Silk is a very delicate fabric and it should be washed very gently. After the saree is washed properly, soak it in a dry and clean towel to dry it and then hang it in some dry place, avoiding direct sun exposure. 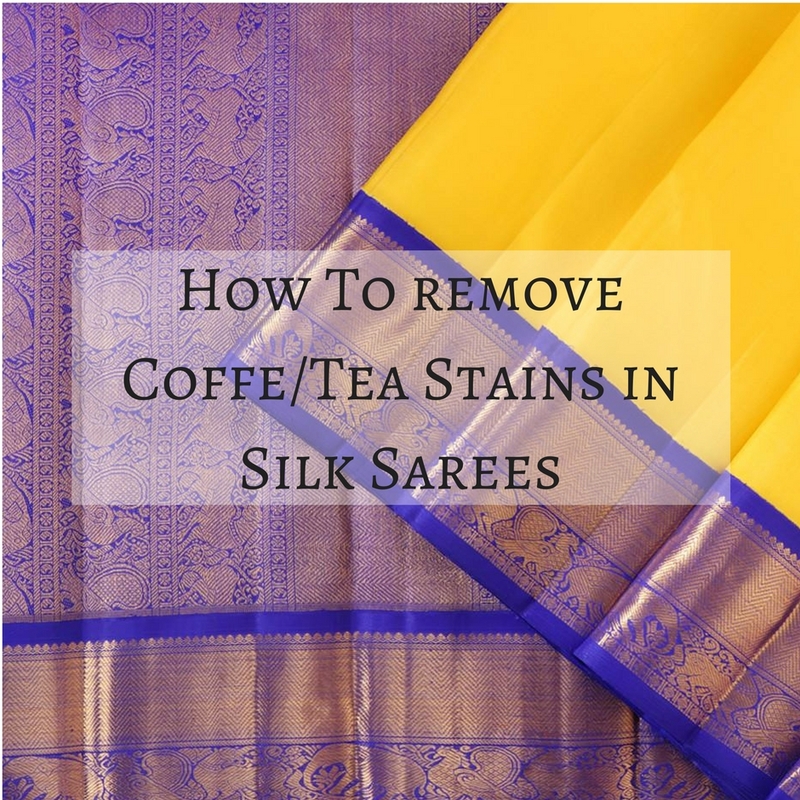 If you have spilled anything such as tea or coffee stains and just want to wash that part of the saree, just lay the saree near the sink and soak the stained are with some water. Then rub that with petrol and then gently use a brush to remove the stain. Be gentle while using the brush on the saree so as to avoid damaging the fabric. 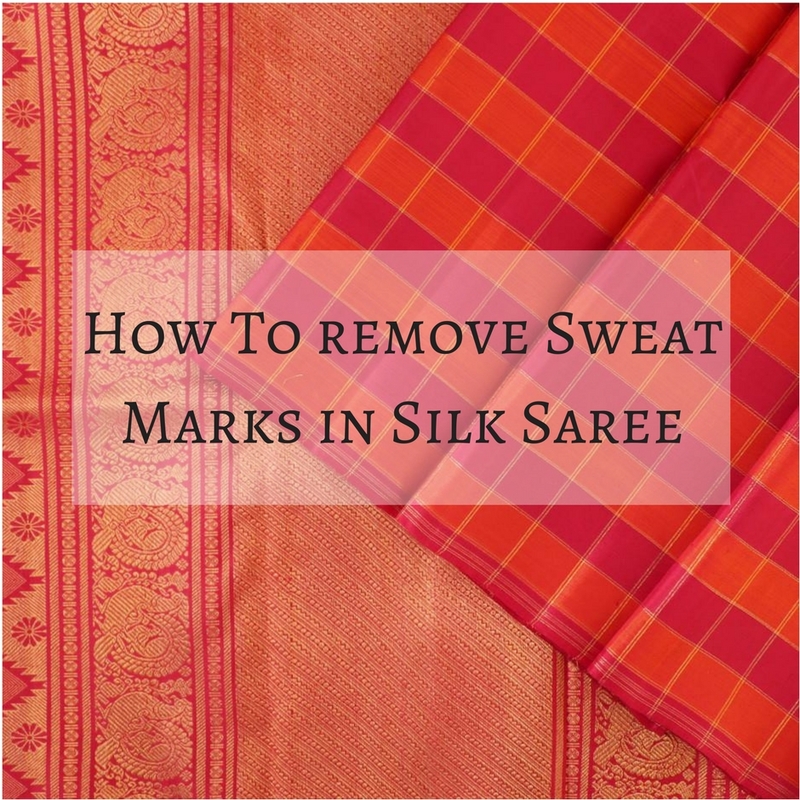 If you are having a hand stain or sweat marks in your saree and you want to avoid washing the whole saree, then you can use certain ways to remove the stain marks. First use a cotton cloth or paper towel on the stain to absorb the moisture. Then apply some mild stain remover or mild detergent on the stain and wash it gently. 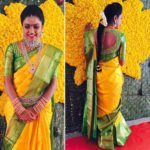 If it is a hard stain, then dry cleaning the silk saree is the best option. Silk sarees are very expensive fabrics. They cost a lot and if not washed properly, the fabrics can tear or the colours can fade. They should always be washed gently, using mild detergent. After washing the saree, never dry it in direct sunlight as this can result in discoloration. Always use a dry towel to dry your saree. Then store it in some dark and dry place. Use a hanger to hang your saree to keep it wrinkle free and avoid creases. 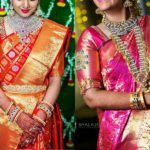 Previous articleThe Ultimate Latest Blouse Designs To Try With Net Sarees! Hello. impressive job. I did not imagine this. This is a fantastic story. 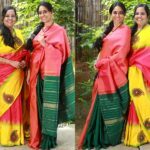 If the Saree has two.diffeent colours. Say pallu in one colour and the body in different colour then how do you wash it?